The Dolphins are shopping around for a veteran quarterback to serve as Ryan Tannehill’s backup, and it appears coach Adam Gase has interest in reuniting with one of the quarterbacks he coached in Denver, Omar Kelly of the South Florida Sun-Sentinel reports. Brock Osweiler, an unrestricted free agent who has started 25 games for the Denver Broncos and Houston Texans the past three seasons, will reportedly visit the Dolphins this weekend, according to SiriusXM. 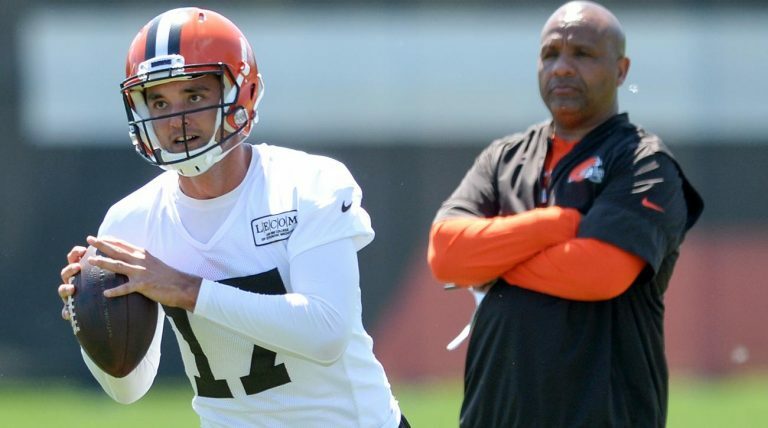 Osweiler signed a mega deal with the Houston Texans in 2016, but was traded to the Cleveland Browns last offseason before being released and returning to Denver before the 2017 season. He spent his first three seasons playing in Gase’s offense in Denver. Osweiler served as Peyton Manning’s backup until an injury forced him to start seven games in 2015. He completed 61.8 percent of his passes, throwing for 1,967 yards with 10 touchdowns and six interceptions. His 86.4 passer rating and 5-3 record as a starter motivated the Texans to hand him a four-year, $72 million contract. Osweiler, however, had a disappointing season as Houston’s starter, completing 59 percent of his passes for 2,957 yards with 15 touchdowns and 16 interceptions. Houston traded Osweiler and a second-round pick to Cleveland to clear $16 million in cap space, acknowledging the franchise made a mistake signing Osweiler. The Browns released him before the 2017 regular season and he quickly returned to Denver, where he started four of the six games he played in, completing 55.8 percent of his passes for 1,088 yards with five touchdowns and five interceptions. Osweiler’s 72.5 passer rating last season was well below his career passing rating of 76.5, which explains why Denver signed Case Keenum and doesn’t intend to re-sign Osweiler. The benefit of Miami signing this six-year veteran is he’s already familiar with Gase’s offense, and is still young enough (27) to be viewed as a developmental quarterback. 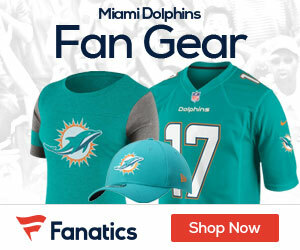 The Dolphins are shopping for a veteran quarterback to serve as Tannehill’s backup because the team doesn’t intend on re-signing Matt Moore, who has been with the Dolphins since 2011.